Some days I am overwhelmed by a sensation that Life is Good! Do you ever have a day or a moment like that? Of course, certain major life events generate glowy “life is good” kinds of feelings; weddings, births, promotions, and great vacations to name a few, but some days are a more routine sort of good. 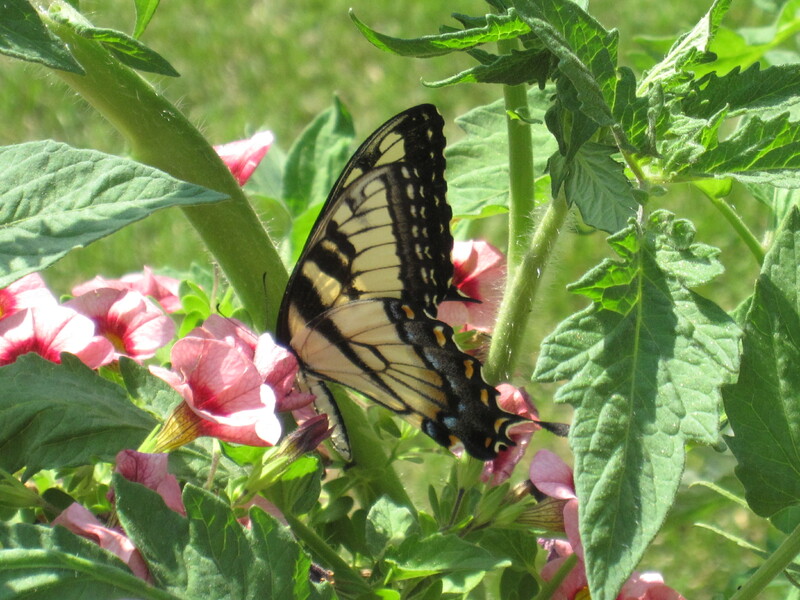 Like watching a tiger swallowtail butterfly silently float from flower to flower stopping to drink deeply from the bloom of each. Ordinary; and good. Like eating BBQ chicken and farm stand sweet corn with my family on a perfect summer evening complete with a gentle breeze and sounds of cicadas. Nothing special; just ve ry good. 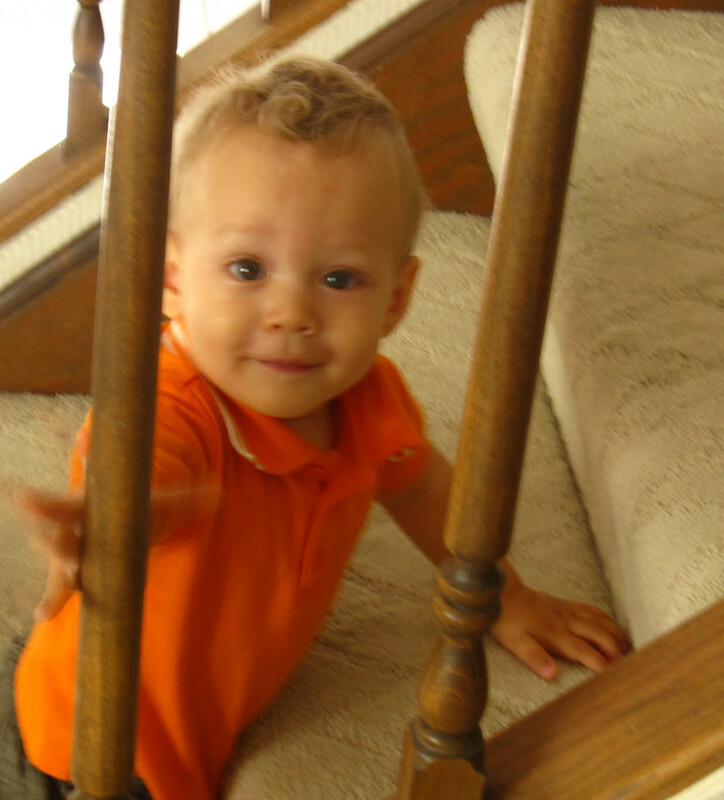 Like watching my year old grandson embrace each day with endless curiosity, astonishing energy and ready smiles. Really, really good. Like the days that play out with just the right balance between work and play, contemplative quite and stimulating interaction, physical activity and mental effort. Satisfying, and good. In spite of constant news of not-so-good events invading our consciousness every day, there is much good to be appreciated in this life if we have eyes to see it. What are some of your “good life” moments? Gallery | This entry was posted in Just for Fun, Reflections and tagged Good life. Bookmark the permalink. Life is good is kin to God is good. Life, with all it’s challenges and tragedies, is good. My life is good moments would be sitting on the back porch with my dad after cutting the grass when I was young, being at the beach with its sounds and smells and sand in my toes; a sunset; watching the harbor seals from my front room, watching my son grow and change in his life, the relief I feel after a nice long conversation/communion with God, an unexpected thank you card, my “new life” with marriage and step chldren proving love crosses all kinds of battle lines, overwhelming sense of friendship in my life… goodness goes along with gratitude and expectations which we all must manage. When I stop trying so hard and let God do his thing in my life, He always comes up with something I never would have thought of! I love that term “joy stretching”… life is good moments are when I realize how abundantly blessed I am! Beautiful – thanks KJ. God, goodness, gratitude – they truly are all connected. I like that you consider life “with all its challenges and tragedies” as good. I think there’s a richness in looking at our lives and realizing that the tragedies and challenges we’ve experienced, while we might never have called them “good,” have helped to make us who we are today. And today is good! What a wonderful snapshot of your grandson! He has that “what’s around the corner?” look in his eyes. My “life is good” moments? Routine ones, as you said, are so precious. Sipping a morning cup of tea on the patio with my sweetheart. That texted photo of my new daughter-in-law standing in front of her seventh grade classroom door with the plaque that says “Mrs. Foreman” — Wow! Finishing a great book. Finding a great pair of pants on the sale rack. An “I love you” phone call from my college daughter. One of my journal routines from a few years ago was to write three things — every day — that filled me with joy. The key was that they had to be new every day. No repeats. I loved doing that because I became alert to blessings all day long. Your post has reminded me to do this, Judy. I’m going to return to that journal exercise — which is really a life exercise. Thanks! What an excellent journaling idea, Beth. No repeats…would be a joy-stretching exercise. Thanks!